Two people were injured late Sunday when an SUV slammed into their car and forced them into a telephone pole, according to Tacoma Police. The incident occurred at 70th Street West and Lakewood Drive West. The driver of the SUV smashed into a Honda, forcing it off the road and into a telephone pole. The SUV kept going until it struck another vehicle. The driver then fled on foot. A K-9 search was unable to find the hit-and-run driver. The woman driver of the Honda was taken to St. Joseph Medical Center with minor injuries. The male passenger was flown to Harborview Medical Center in Seattle with "significant" injuries. 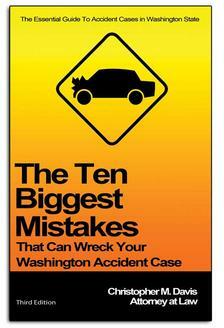 Does Insurance Cover Hit-And-Run Accidents? If you've been injured in an accident in which the driver leaves the scene, you may feel helpless — especially with medical bills and auto repairs weighing on you. But it's important that you remember that you have legal options, and that consulting with an experienced car accident attorney is often the best course of action. In many hit and run cases, you may be able to recover compensation from your own insurance company under your uninsured motorist policy. However, hit and run uninsured motorist claims are a bit different than regular UM claims, and to preserve your rights and make sure you get the most compensation possible, you should contact an attorney to assist you through the process. If you do have uninsured motorist coverage, the policy will typically cover the damage done by the hit and run driver. That includes medical bills, lost wages, physical therapy, property damage, pain and suffering, etc. 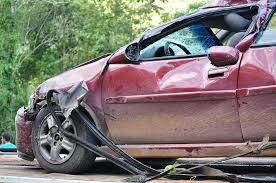 Not all insurance companies are eager to pay for these damages in a hit and run accident. That's when an attorney is often of great assistance. While you are eligible to receive up to your policy limits for your accident-related losses, insurance companies often try to avoid liability and make lowball settlement offers. Attorney Chris Davis and the legal team at Davis Law Group, P.S., are experienced in both Washington state and local laws and regulations regarding hit and run car accidents. If the driver is found or if you have uninsured motorist protection, we will use our knowledge to obtain the best financial outcome in your case. As with all of our motor vehicle accident cases, unless we secure a financial award for you, there is no fee for our services. For a free, no obligation case evaluation, contact Davis Law Group today. Call (206) 727-4000, use the chat feature below or fill out the form on this page.